We work at the intersection of mechanics, materials, and physics to determine the atomic-scale origins of tribology (friction, wear, adhesion, lubrication) and the connections to the structure, composition, and mechanical properties of materials. We pursue the application of this knowledge to applications such as micro- and nano-mechanical systems (MEMS/NEMS), hard disks, thin film design, micro- and nano-manufacturing, protective coatings, and lubricants. We explore novel materials including ultrahard carbon films, tailored molecular layers, lubricant additives, and 2D materials. We focus on experimental methods including scanning probe microscopy including in situ methods, surface/interface science, and synchrotron radiation techniques, and we collaborate extensively with other groups who pursue theory and atomic-scale modeling efforts. Robert W. Carpick is the John Henry Towne Professor and Department Chair in the Department of Mechanical Engineering and Applied Mechanics at the University of Pennsylvania. He holds a secondary appointment in the Department of Materials Science and Engineering, and is a member of the Physics Graduate Group. Prof. Carpick moved to U. Penn in January 2007 after serving on the faculty for 7 years in the Engineering Physics Department at the University of Wisconsin-Madison. Prof. Carpick received his B.Sc. in Physics from the University of Toronto in 1991, and his M.A. and Ph.D. in Physics from the University of California at Berkeley in 1997 under the supervision of Dr. Miquel Salmeron. His thesis is titled: “The Study of Contact, Adhesion and Friction at the Atomic Scale by Atomic Force Microscopy”. He spent two years as a postdoctoral appointee at Sandia National Laboratory in the Surface and Interface Science Department, and then the Biomolecular Materials and Interfaces Department where he worked under the supervision of Dr. Alan R. Burns. 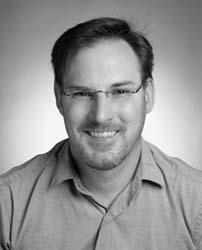 Prof. Carpick works at the intersection of mechanics, materials, and physics to conduct research into nanotribology (the atomic-scale origins of friction, adhesion, lubrication, and wear), nanomechanics, nanostructured materials, surface science, and scanning probe microscopy (SPM) including in situ methods. His primary focus is on using SPM and other surface science and material characterization techniques to probe the fundamental nature of materials in contact, and to apply the results to nanotechnology applications. Recently he has focused extensively on the science and technology of ultrahard carbon-based thin films including nanocrystalline diamond, ultrathin materials such as graphene, and materials under extreme conditions. Prof. Carpick was named a Fellow of the American Physical Society in 2012, a Fellow of the American Vacuum Society in 2014, a Fellow of the Society of Tribologists and Lubrication Engineers in 2016, and a Fellow of the Materials Research Society in 2017. He currently serves on the Editorial Boards of the journals Tribology Letters and Advanced Materials Interfaces, and served as a Board Member of the Solid Lubricants Division of the Society of Tribologists and Lubrication Engineers (2004-2009), serving as Division Chair for 2008-2009. He previously served as an elected board member of the Nanoscale Science and Technology Division of the American Vacuum Society, and on the Editorial Board of Review of Scientific Instruments. He was the recipient of a CAREER Award from the National Science Foundation in 2001, and was named Outstanding New Mechanics Educator by the American Society for Engineering Education in 2003. In 2009, he was awarded the Burt L. Newkirk Award of the American Society of Mechanical Engineers. He is a co-recipient of a R&D 100 Award for the co-development of ultrananocrystalline diamond AFM probes, sold commercially as “NaDia Probes” by Advanced Diamond Technologies, Inc. He has taught several invited short courses on nanomechanics and scanning probe microscopy, is the author of over 130 peer-reviewed publications, and holds 6 issued patents. From 2007-2011, Prof. Carpick served as the University of Pennsylvania Director of the Nanotechnology Institute (NTI), a multi-institutional entity funded by the Commonwealth of Pennsylvania that supports the commercialization of nanotechnology by funding university-based translational research with industrial collaboration. R&D 100 Award, 2009 (part of a team) for the co-development of ultrananocrystalline diamond atomic force microscopy probes awarded by R&D Magazine. Burt L. Newkirk Award, 2009, awarded by the American Society of Mechanical Engineers to an individual who has not passed his/her fortieth birthday on July 1 of the year in which the award is conferred and who is an ASME member at the time of nomination. It is given to one who has made a notable contribution to the field of tribology in research or development as evidenced by important tribology publications. Outstanding New Mechanics Educator Award, 2003, awarded by the American Society for Engineering Education at the 2003 annual meeting, Nashville, TN. Untenured Faculty Award, 2003-2005, awarded by 3M Corporation to new faculty with outstanding potential. CAREER Award, 2002-2006, awarded by the National Science Foundation, Engineering Directorate, Division of Civil and Mechanical Systems. Best Overall Mechanics Presentation, 2001, awarded by the American Society for Engineering Education for a presentation given at the 2001 annual meeting, Albuquerque, NM. Postdoctoral Fellowship, 1998-1999, awarded by the Natural Sciences and Engineering Research Council of Canada to outstanding candidates to pursue postdoctoral research. 1967 Science and Engineering Scholarship, 1992-1996, top award of the Natural Sciences and Engineering Research Council of Canada for outstanding students to pursue graduate research.